Different people take different approaches to arranging furniture in a new home. Some homebuyers are meticulous planners, thinking long and hard about it and even sketching out ideas based on the property floor plan. Others take a more organic approach, waiting until they move in and trying different arrangements to see what setup best suits their new house. 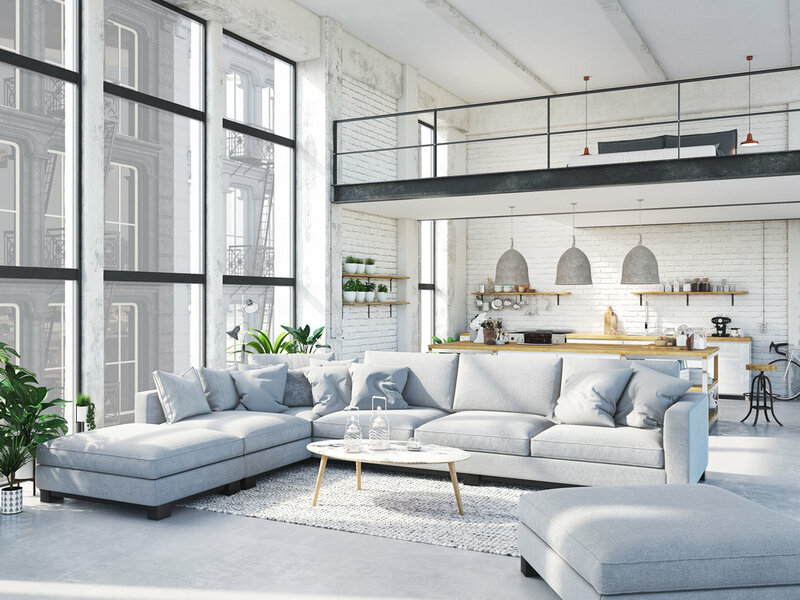 In this blog, we’ll give a few hints and tips on what you might want to consider when thinking about furnishing your new home. First of all, ask yourself practical questions about your space. What activities will be taking place in this room? How many people does the room have to accommodate? If you are, say, a family of four, do you also need to take visitors into account when planning living and dining rooms? Once you’ve thought about the practicalities, you will have a better idea of what furniture you need for each room, whether you are moving pieces from an existing home, buying all new furniture, or somewhere in between. If you are so inclined, experimenting with various arrangements in advance can save avoidable hassle after you move into your new home. In the old days, we used to do it by drawing out floor plans and even using little cutouts to try different furniture arrangements. Today, there are various interactive online tools available that make the job much easier. Try out websites like Homestyler.com and SketchUp.com to experiment with various arrangements for your new house and get a feel for how things will look. A good interior design tip is to remember the concept of focal points. Focal points in a space may be a natural part of the room’s design – for example, that bay window or fireplace that your eye naturally goes to. Alternatively, you may want to create a focal point, whether that’s the corner of the room where the television will go, a painting in an alcove, or an ornate mirror on a wall. Remember to take the focal point into account when deciding how to orientate the furniture in the room. As a final tip, beware of creating too big a void in the center of rooms. While some may be inclined to push all the furniture up against the walls to create more space, in reality, this can have the effect of a gaping, uncomfortable void in the middle of the room. Consider moving the furniture away from the walls, or alternatively filling the void with another piece of furniture, such as a coffee table, which can create its own focal point. So there you have it! We hope that we’ve given you something to think about and that when it comes time to move into your new home you'll find the job of choosing and arranging your furniture in each room of your new house just a little easier.